Adam Hadwin watches his tee shot on the fifth hole during the final round of the Desert Classic, on the Stadium Course at PGA West, in La Quinta, Calif., on Jan. 20, 2019. 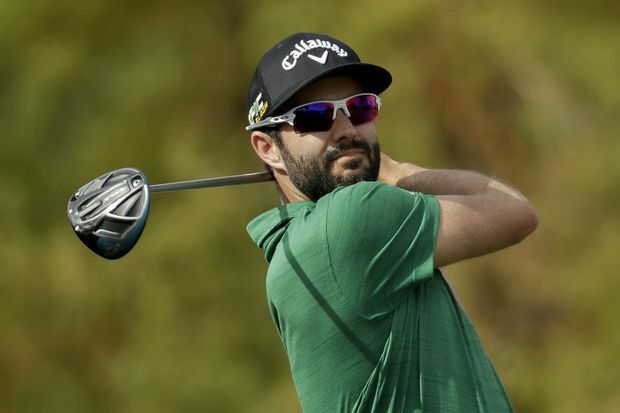 Adam Hadwin’s tie for second at the Desert Classic this past weekend gave him his third top-10 result of the young 2018-19 season, helped him break US$1-million in earnings on the campaign and moved him up to 13th in the FedEx Cup standings. “Honestly, it’s not something I’m even paying attention to,” said Hadwin on Monday. “It’s way too early in the season to even worry about [the FedEx Cup standings]. If I’m 13th going into August, then I’ll say this is an incredible accomplishment and that sort of thing. Still, Hadwin came into 2019 looking to add to his one career PGA Tour win, which came on March 12, 2017, at the Valspar Championship. “I came out this year pretty hungry to get better,” Hadwin said. “This is a Presidents Cup year and I knew I was going to have to do some good things again to get myself back on the team. I’m not currently qualified for any of the majors or the [World Golf Championships] like I was the previous years.